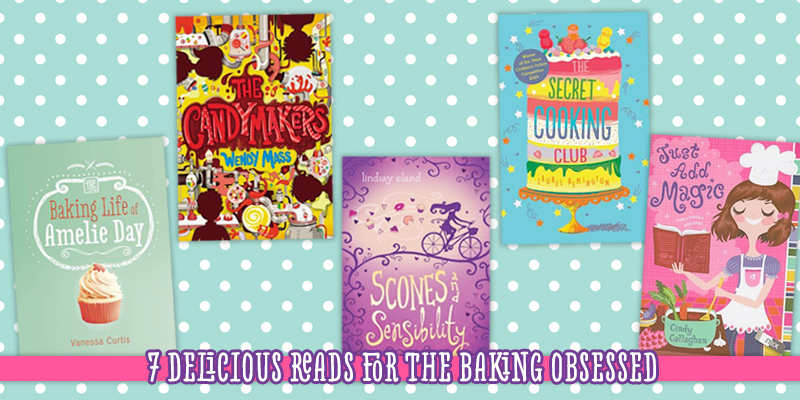 7 Delicious Reads for the Baking Obsessed | YAYOMG! Whether it be scones, macarons, breads, cakes, or pies, we can all agree on one thing – baked goods are some of the very best treats to shove in your mouth hole! After seeing all the talented kids on Master Chef Jr., Junior Bake Off, and the slew of other fabulous cooking shows that show off the passion and incredible cooking skills of kids from all around the world, tons of kids have become inspired to learn to cook and bake. Baking is something that’s easy to learn but hard to master, and even some of the best chefs in the world struggle with perfecting a creme bruele or getting that perfect balance of icing to cake. Could we possibly make a list about books for aspiring bakers, and not include “Baker’s Magic?” Sure, we’ve mentioned it a few other times on the site, but it’s one of our favorite books of the year, so we like to gush about it at any chance we get. Bee is an orphan who stumbles across a crumbling kingdom and is taken in by Master Bouts, the local baker. He gives her a place to stay, clothes to wear, and gives her a job in his shop. As Bee learns to bake, she also begins to fall in love with baking and discovers that she has the ability to bake feelings and emotions into her pastries that effect the people who eat them. When the safety of her closest friend Anika and the entire kingdom are threatened, Bee must find the courage to head out on a dangerous journey with only a small bit of magic on her side in order to save the day. 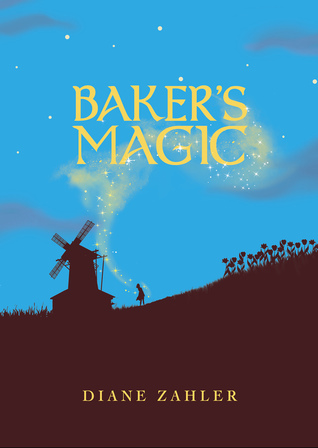 The feeling you get while reading “Baker’s Magic” is the same feeling you get when you take the first bite of a freshly baked pastry. The book comes with a recipe for the famous Bouts Buns, which is a really good thing because after reading about how delicious they are all throughout the book, you’re definitely going to want to find out for yourself. For more about this delightful little book, check out our full review. This flavorful and amusing morsel may be a little hard to come by, as it’s published by Chicken House who are located in the UK – but if you can manage to snag a copy, we think you’ll totally love it. Scarlett is a 12 year old girl who’s the daughter of a successful mommy-blogger, which means her life is often in the spotlight. Actually, pretty much everything she does from sounding terrible on the violin to farting at Christmas dinner has made it’s way onto the blog, and kids at school haven’t exactly been nice about it. In an attempt to get back at her mom, Scarlett quits doing pretty much everything and tries to become as boring as humanly possible. One night, Scarlett’s elderly neighbor, Mrs. Simpson, is taken away in an ambulance and she heads over to the house next door to take care of her cat. That’s where she discovers a big, beautiful kitchen and book of handwritten recipes that says “To my beloved daughter, may you find the secret ingredient” and decides to start learning to bake. As she gets wrapped up in the thrill of baking, it begins to change everything about her life. 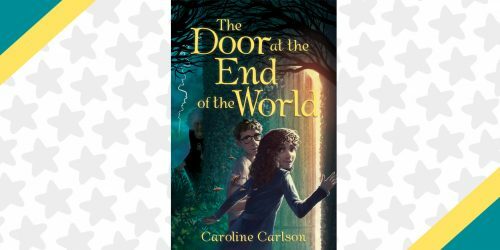 Scarlett finds new friends, new confidence, and a newfound ability to deal with the things that otherwise used to get to her. 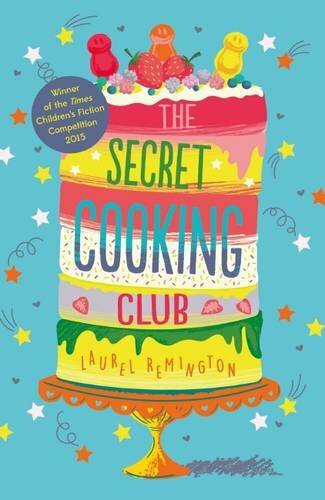 She starts up a Secret Cooking Club with her new friends (all while hiding everything from Scarlett’s mom), and when Mrs. Simpson returns from the hospital, the Secret Cooking Club team up to try and prevent her from having to end up in an old people’s home. Not only does this book have a gorgeous cover, it’s also a great contemporary introduction to the romantic world of Jane Austen for readers who might not be quite ready to tackle the classics. After reading some of Jane Austen’s classic stories, twelve year old Polly is completely swept away by the chivalry and romance found in her books and swaps out her computer for a typewriter, her modern clothes for outfits more suited to the 19th century, and completely immerses herself in the world of Jane Austen. While spending the Summer working as a delivery girl at her parent’s bakery, she decides it’s her mission in life to help the lonely hearts in her life find love and happiness and begins trying to pair up everyone from Miss Wiskerton, the town grump to trying to set up her sister with a guy she thinks is more suited to her than her current boyfriend. As the people she’s trying to help start breaking up, arguing, and getting frustrated with Polly, she quickly realizes there’s more to love than she realized and must figure out how to patch everything up before it’s too late. 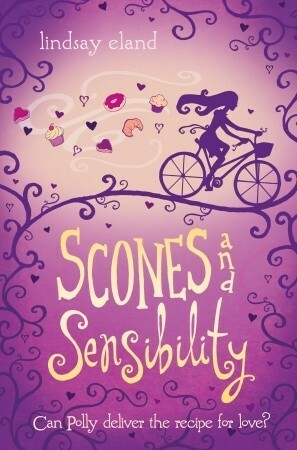 “Scones and Sensibility” is a quick and charming read, the perfect pairing for a gooey sweet treat that warms your belly and your soul. Does this one sound familiar? Maybe that’s because there’s an Amazon Original Series based on the book. Not only that, it’s actually a really cute watch and brings the book to life in a really fun way. The series was just picked up for a second season, so after you’ve read the book, you’ll definitely want to check out the show. 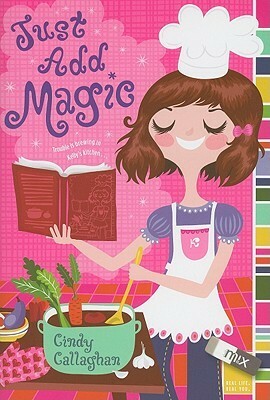 In “Just Add Magic”, Kelly Quinn and her two best friends discover an old cookbook while cleaning out the attic, the girls can tell just by the strange names and odd ingredients that the recipes in this cookbook are far from ordinary. The girls decide to start their own secret cooking club and start whipping up the treats from the old cookbook. Kelly quickly realizes that each dessert they bake aren’t just delicious, they also have magical powers – like silencing annoying little brothers and hexing the mean girl at school. The girls try and use the magical abilities of the recipes to their advantage at school and with their crushes, but each time they think they’ve figured out exactly what the recipe will do, something goes horribly wrong. 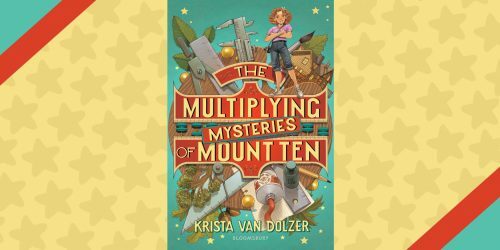 Kelly and her friends are determined to get a handle on this magical cookbook and figure out the mystery behind these strangely magical recipes and mysterious warnings they keep receiving. 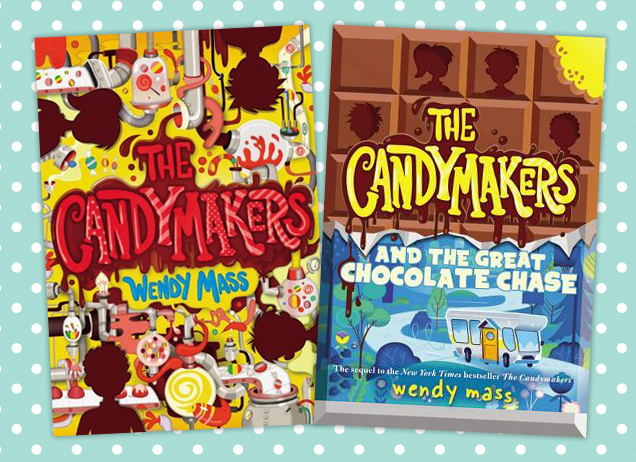 “The Candymakers” and “The Great Chocolate Case” are filled with competitive spirit, revenge, friendship, secrets, and of course, tons and tons of scrumptious CANDY. It may not be about baking exactly, but chocolate and candy are always appropriate in any situation, so we absolutely had to add these to the list. In “The Candymakers”, Logan (who actually LIVES inside the candy factory which is basically our fantasy life), Miles, Daisy, and Philip couldn’t be more different, but they’re all connected by their love for making sugary sweet confections. When they are selected to compete in a national candy making competition, these four kids are drawn together for a contest that’s much more than meets the eye. This unpredictable story is told through the alternating perspective of each of the 4 kids, and with each chapter, you’re always uncovering a new piece to the story. Some of the kids aren’t telling the truth and things aren’t always what they seem to be. The one constant you can count on? The descriptions of all the sweet treats in this book are so mouth-watering that you’ll definitely want a pile of your favorite candy to snack on while you read it. In the second book, “The Great Chocolate Chase”, Logan, Daisy, Miles, and Philip have all returned to life as normal. But when the winning candy bar from the previous story is finally produced, Logan realizes something is very wrong with the way it turned out – it’s missing an important ingredient. When the Candymaker announces a tour to promote the candy, Logan and his friends head out on an unpredictable journey to set things right. Just like the the first book in the series, “The Great Chocolate Chase” is filled with twists, puzzles, hidden treasure, secrets, and even more excitement than the original! Oh, and don’t forget the candy. Lots and lots of candy! 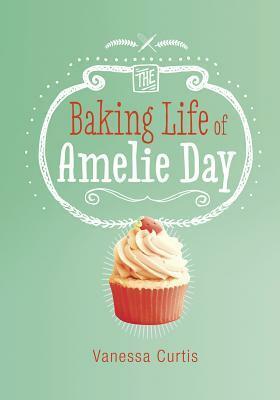 While so many books about baking seem to also be steeped in magic, “The Baking Life of Amelie Day” is 100% real life and real emotion as Amelie suffers from Cystic Fibrosis. Amelie Day LOVES baking. She’s not just whipping up cupcakes from a box, she’s always creating her own recipes and on the hunt for the perfect flavor combinations to bring her treats to life. So when she gets invited to compete in the Best Teen Baker of the Year competition, she’s absolutely thrilled to get a chance to show off her skills. Unfortunately, Amelie suffers from Cystic Fibrosis and there are days where she can’t even breathe, let alone bake. Even though she’s proud, her mom thinks that traveling to London for the competition will be too much for Amelie to handle in her condition, and doesn’t want her to go. 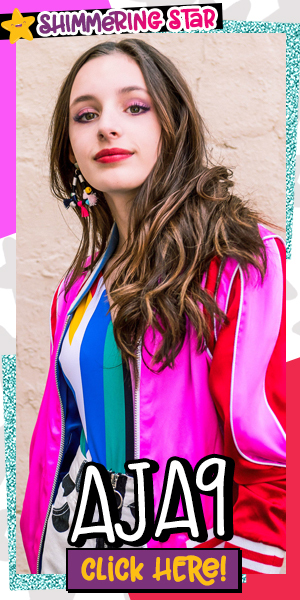 Amelie is fiercely strong and handles her less than perfect situation with strength and grace. She’s determined to make her life about doing the things she loves and refuses to be defined by her illness. While there’s definitely some emotional bits sprinkled throughout the book, it’s an uplifting story that we think any aspiring baker will love. Did we mention that some of Amelie’s tantalizing recipes are included in the book – meaning you can try them for yourself in real life? 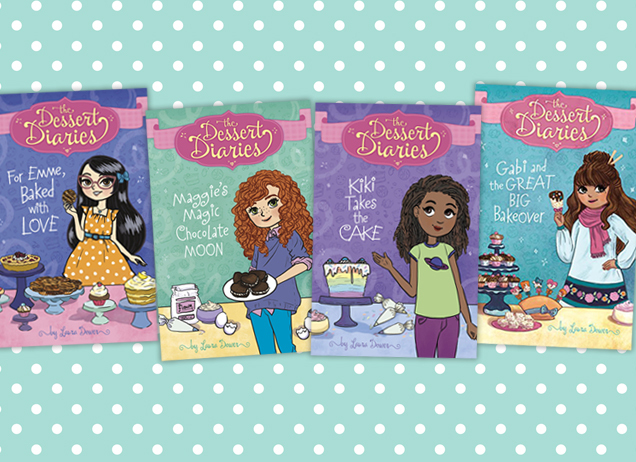 “The Dessert Diaries” books aren’t actually available yet, but they will be soon! We’ve been anticipating this deliciously adorable new series for awhile. Stories of friendship, enchanted bakeries, and delicious desserts? Count us in! Emme, Maggie, Kiki, and Gabi each have their own issues. Emme finds herself caught in the middle of fights between both her parents and her BFFs. Gabi, a girl who is generally shy and introverted finds herself in the spotlight when her artistic talents can help save her school. Kiki is a science wiz who loves working at the local bakery who is put to the test when a bigger bakery comes to town. Maggie is new to town, new to school, and has an annoying little sister who just won’t leave her alone. The connection between these 4 girls? They all find themselves drawn to Daisy’s enchanted neighborhood bakery as they deal with the ups and downs of middle school and family life. Each book is filled with tasty treats, positivity, and a story that helps readers realize they’re not alone in their own life issues and shows them that there’s always good hidden somewhere amongst the bad. We just can’t wait to read this series! Since lots of you guys love cooking (and eating), we couldn’t possibly leave this series off the list. It’s super clever, cute, and filled with the most enticing descriptions of all the tantalizing dishes that Gladys tastes and prepares. Plus, we just adore Gladys Gatsby. She oozes passion and determination in a way that’s totally refreshing. If you’re anything like us, this series will make you laugh, warm your heart, and make your belly rumble with each and every page. 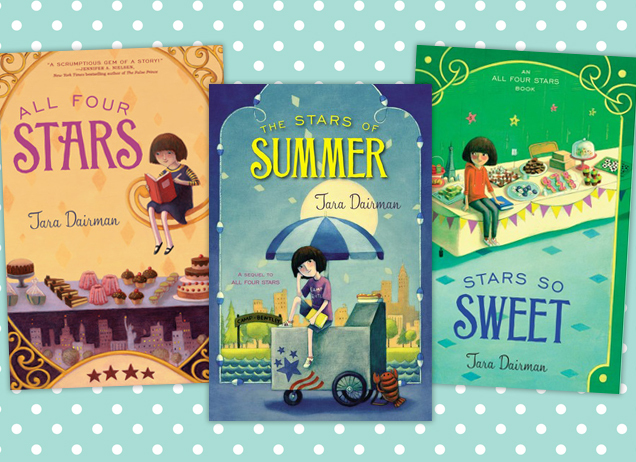 In this deliciously clever series, Gladys Gatsby’s life changes forever when she goes from being an ordinary 11 year old girl to have a thrilling life as a food critic. Gladys has always loved whipping up gourmet meals and tasting new and exotic dishes, but has always had to keep it a secret from her fast-food loving parents. After a creme brulee disaster that ends in a fire gets Gladys banned from the kitchen with no allowance, she’s on the hunt to find a way to pay her parents back for the damage when she gets mistakenly chosen to review a restaurant. From here, Gladys must figure out how to get to New York City, taste the food at the restaurant, and submit a review that sounds like it was written by an adult – all without anyone finding out! As the series continues in “The Stars of Summer” and “Stars So Sweet“, Gladys begins to realize the struggles of living a double life. As she tries balancing working on her assignments for the paper while also dealing with a less than perfect trip to summer camp, vengeful jealous journalists, and heading back to middle school, Gladys struggles to keep her secret and knows that things aren’t going to be easy.We won’t tell you how it all ends, but we WILL tell you that this series is a must-read for anyone who loves cooking, baking, or simply tasting delicious foods. It’s like a dream come true for any aspiring foodie! 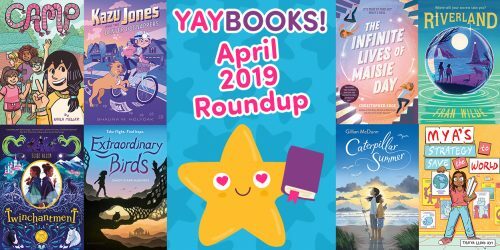 Now that you’re all starved for delicious baking fiction, why not head over to your local library or favorite bookstore to pick up these awesome reads? (And make a stop at your favorite bakery for a tasty snack.) While you’re at it, here’s a few other book recommendations that you might love!